I remember pinakita mo sakin ito long long long time ago,nasa white envelop(?). you are one great star yourself, nhelle! Of course, link the blog. PressCon days were the best(est)! whoah! 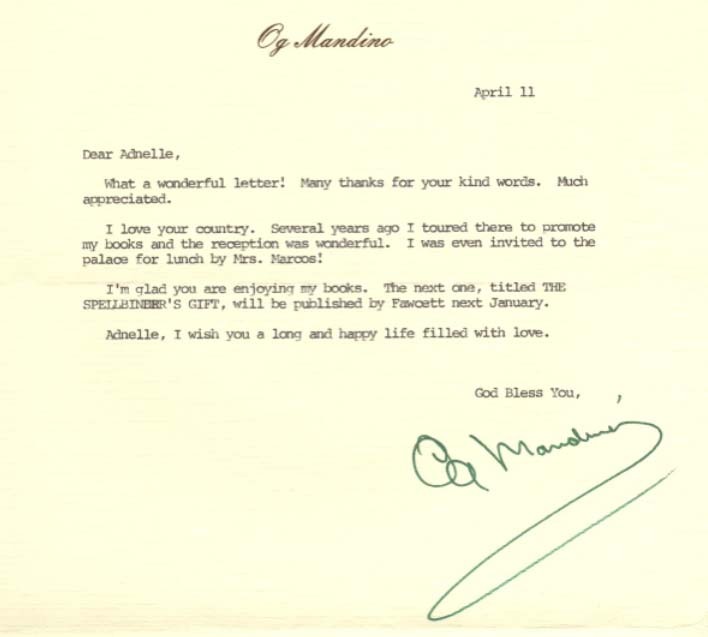 you got a letter from Og Mandino! i love his books too. and i also bought them when i finally can afford them hehehehe my favorite is the greatest salesman in the world.